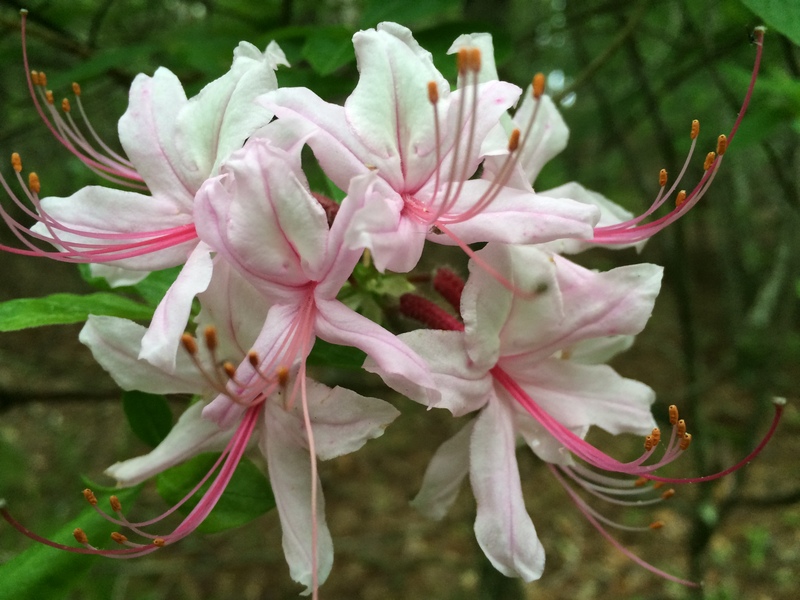 How about this wild azalea? Don’t you just want to pollinate it? 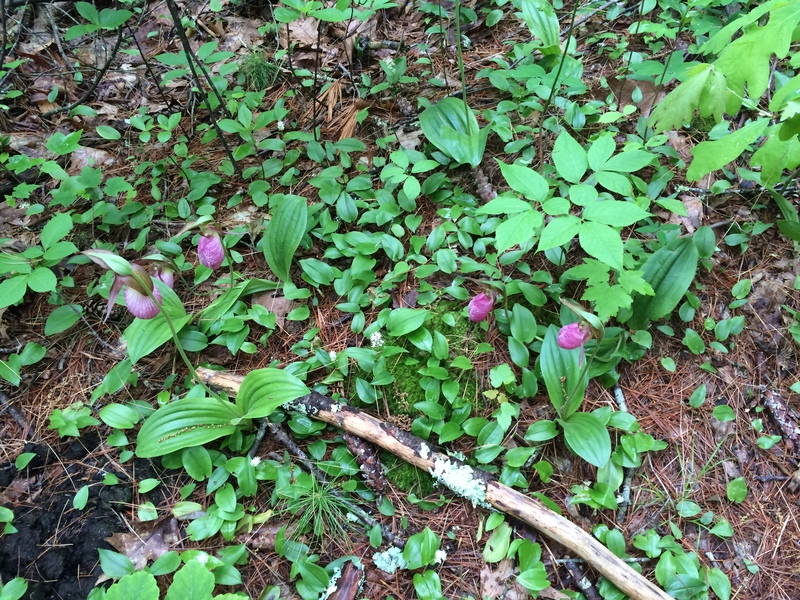 We have seen several growing in the woods lately. They are classic understory plants, preferring the partial shade of the forest canopy. The foliage is rather sparse, but the blooms speak for themselves. 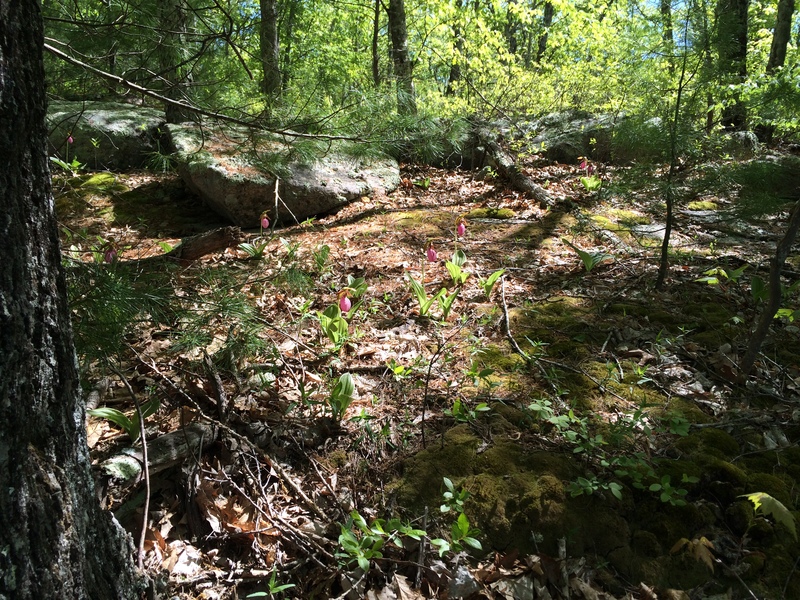 I have never seen as many Lady Slipper orchids as I have this spring. We come across them on almost every hike. 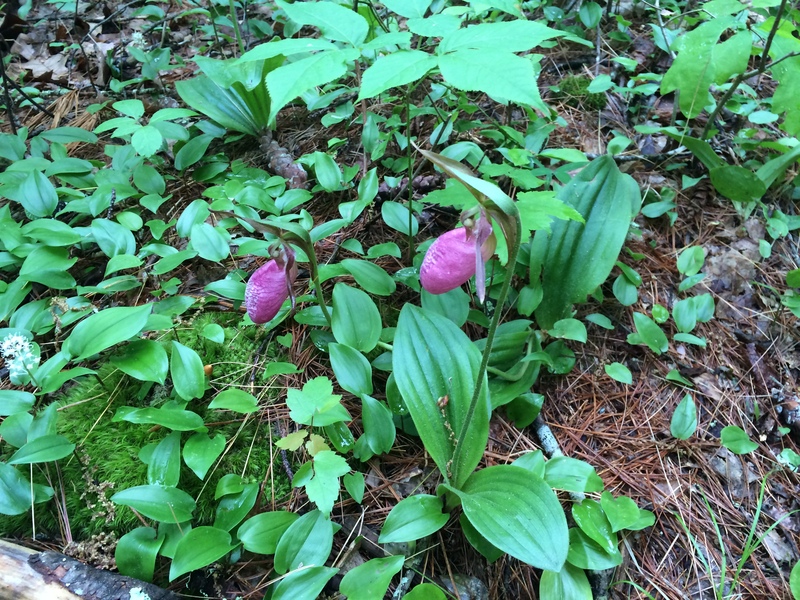 The cypripedium acaule, also known as “moccasin flower,” grows in what must be rather acidic soil with all those pine needles. I have even seen one growing in a tiny cavity in a rock. We had what many people call a “hard” winter here in RI. I think it was normal, and that recent winters here have been too mild. The spring has also been cool, which is what these orchids (and I ) like. I did a little research and found out that there are forty species of orchids growing wild here in RI. All but one are natives, and eight species are probably extinct. Our wild orchids bloom from May to October in a wide variety of habitats. “Rhode Island Orchids” is a great source of information. Here’s a final shot of Lady Slippers growing on a moss-covered boulder. So lovely in the dappled forest light.